'Triumph' and 'disaster' are both 'imposters' said Kipling, in his poem If. In other words, it's the taking part that counts, which is why the All England Lawn Tennis Club displays the quote above the players' entrance to Wimbledon's Centre Court. In a pleasing echo of the hallowed grounds, the phrase is also displayed at the AELTC's Community Sports Ground, home to our newest league! Three and a half miles from Wimbledon's Centre Court, there is a tennis venue which is so special, it is almost like a mini-Wimbledon. It has boasts three acrylic courts outdoors, three acrylic courts under a dome and for the summer, six grass courts. In the run up to the Championships, the centre is used by the ball girls and ball boys as their training centre, and it is also used for weekend coaching sessions by the Wimbledon Junior Tennis Initiative which helps children from local schools develop both their tennis and life skills. But it is the Kipling quote at this venue which gives a clue to its ownership. Located in Raynes Park in south west London, it belongs to the All England Lawn Tennis Club (AELTC). Unlike the AELTC, however, you do not have to win Wimbledon to guarantee membership. This is a Community Sports Ground, open to the public and offering pay and play tennis for casual play or coaching sessions. 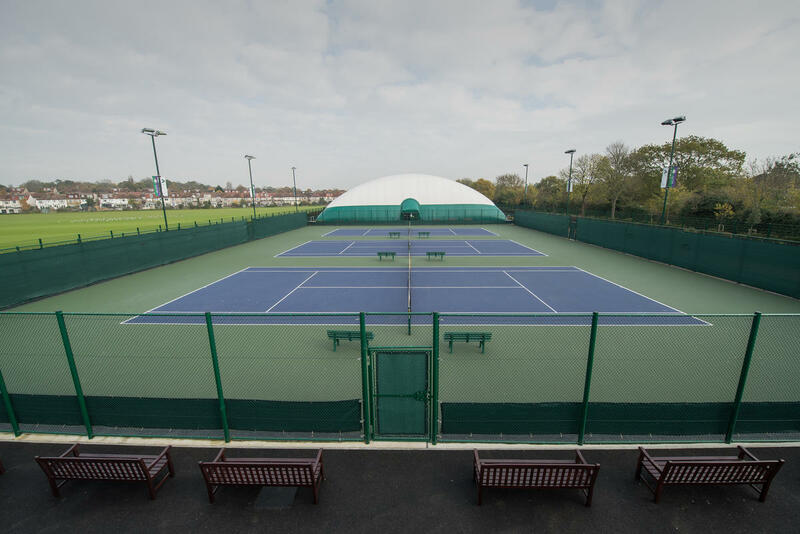 We are delighted to announce that from this month, this fantastic facility is also the latest home of a Local Tennis League. The brand new AELTC Community Sports Ground Daytime Tennis League starts on Thursday 31 January and runs until 27 March. It works just like all our other singles leagues and is open to men and women of all standards aged 18 and over. As public court availability is generally restricted to Monday-Friday, 9am to 4pm, this is a a daytime league but as with all our leagues, matches can be played on any court that suits both players and could be played elsewhere at evenings and weekends if it suited both players. This lovely venue, however, is so attractive and such extraordinarily good value for money, we suspect everyone will want to play here! There is a one off, lifetime membership fee of £4. Thereafter courts cost £5 per hour. Members are able only to book one court per day so the player and the opponent would therefore need to book the “back to back” courts to allow time to play the matches. Courts are bookable 13 days in advance. If you are keen to give it a go, join here by Monday 28 January! It's the taking part that counts!